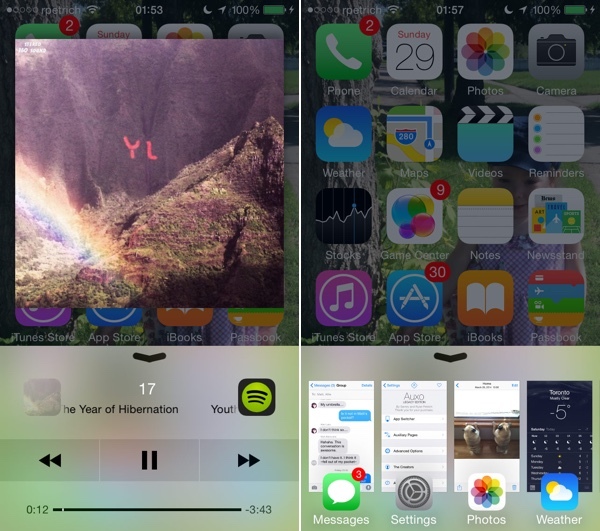 Original Auxo, the powerful and intricate multitasking tweak that launched over two years ago, practically reinvented background app switching and formed the foundational DNA for today’s native multitasking within iOS. While Auxo 2 and Auxo 3 for iOS 7 and iOS 8 respectively have been good in what they did, none of them ever came close to the awesomeness of the original version. 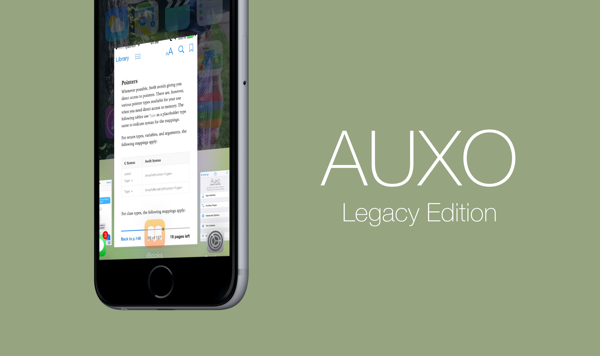 Today’s release Auxo LE, where LE stands for Legacy Edition, brings back the old goodness from the original to iOS 8 devices. The original Auxo will be remembered as one of Cydia’s most loved packages. Although it came with its fair share of issues, such as semi-regular crashing caused by annoying memory leaks, it had a certain charm to it that was derived from the beautiful design work put into the package, and the fact that it was a fantastic representation of what multitasking should be on a mobile device. Auxo Legacy Edition is the fourth version of the Auxo franchise, but many will argue it’s the best offering yet thanks to its fantastic, almost native user-experience. After installing Auxo LE, invoking the functionality is as easy as a simple swipe up from the bottom of the display. Yes, it automatically replaces the way in which Control Center is accessed, but CC is actually built into Auxo LE, so users can be rest assured that they don’t have to sacrifice any native iOS experiences to get to grips with the latest Auxo. 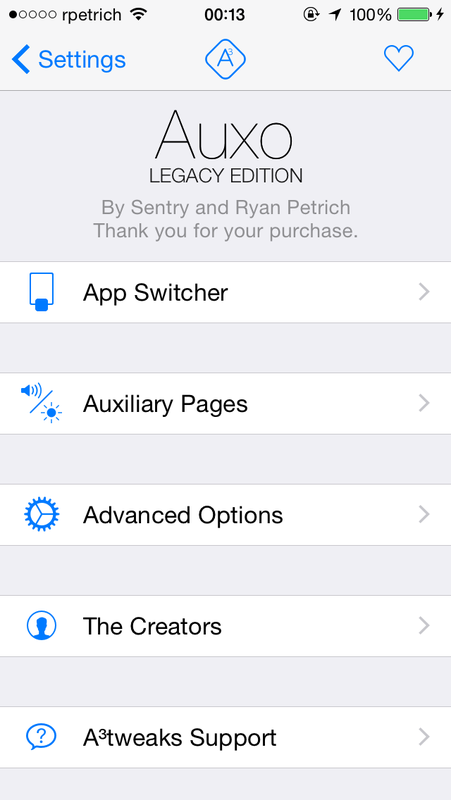 Those purchasing Auxo LE will have the ability to customize it to their liking via the App Switcher, Auxiliary Pages and Advanced Options panels within the native Settings app. Settings such as app pagination and assigning individual actions to swipe up and down gestures on app switcher cards make sure that Auxo can be customized to your individual taste. Thankfully, it also introduces the ability to close all apps with a satisfying tap and hold gesture. Are you reading this, Apple? Take note. The Auxiliary Page options allow users to handle exactly how music controls and system toggles are displayed and handled, while the Advanced Options panel contains access to settings that control exactly what is displayed when Auxo is invoked by the user. 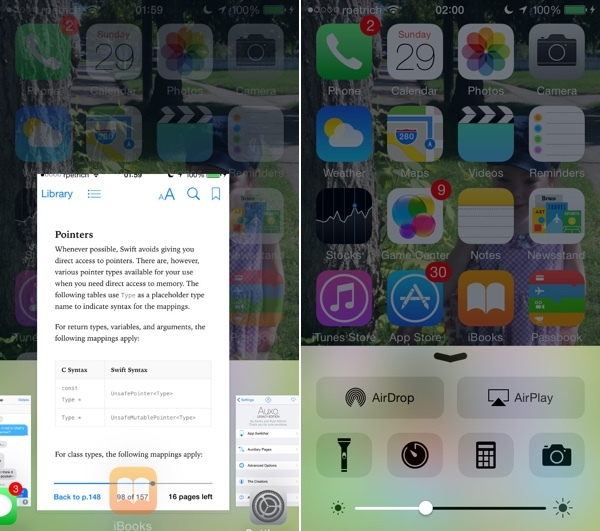 Auxo is back, and it’s immediately evident that it’s here to make a more than just a ripple in the jailbreak world. The beautifully simple design perfectly compliments the rest of iOS 8 and the technical implementation of the fourth edition is clearly the best yet. Auxo Legacy Edition is available as a commercial download directly from BigBoss repo on Cydia. Previous purchasers of Auxo 2 or Auxo 3 will have to part with $0.99 to get in on the action, with everyone else having to shell out $1.99. Still an unbelievable bargain for such an accomplished and smooth piece of work.